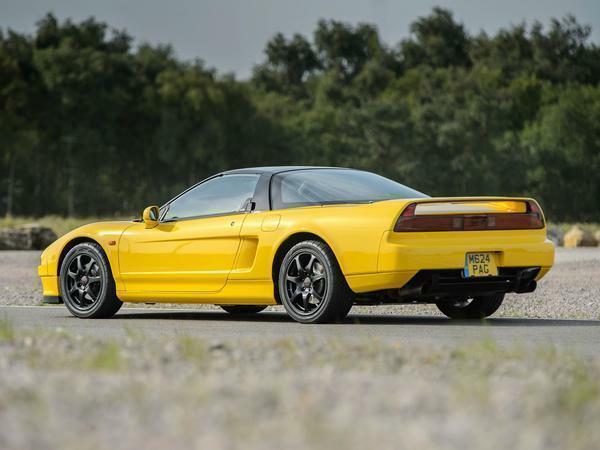 In absolute terms – by which I mean Naoki Yamamoto at the wheel of each, stopwatch running, one single lap of Suzuka – the original 1992 Honda NSX-R might be faster than the current Honda Civic Type R. Perhaps. I’m not sure I can call it though. The hot hatch has a tiny power-to-weight advantage (232hp/tonne versus 228) and stronger brakes, but the mid-engined car is lighter and better balanced, it has a much smaller hole to punch in the air and, well, it’s a supercar and not a hatchback. The Nordschleife leaderboard suggests the newer car is quicker by 13 seconds a lap around that place, but the NSX-R’s time (and admittedly it was the facelifted NSX-R with a fraction more power that recorded it) was set 17 years ago on period tyres. Bolt on some sticky modern rubber and the difference could well be wiped out and then some. 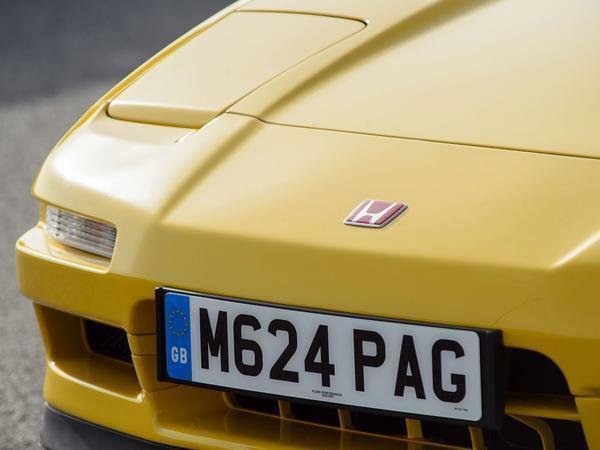 Anyway, the point is the old-timer might just have an edge over the new car against the clock, but in the real world, on public roads and in the hands of anybody other than a Super GT champion, the Civic Type R would humiliate the NSX-R so comprehensively you would want to give the dinky little supercar a cuddle. Of that I am absolutely certain. The thing about the Civic is that it gives up its performance gladly, so that with only a little effort and just a modest amount of skill it can be flung along a road at breakneck speed. And that pretty much describes every modern performance car. 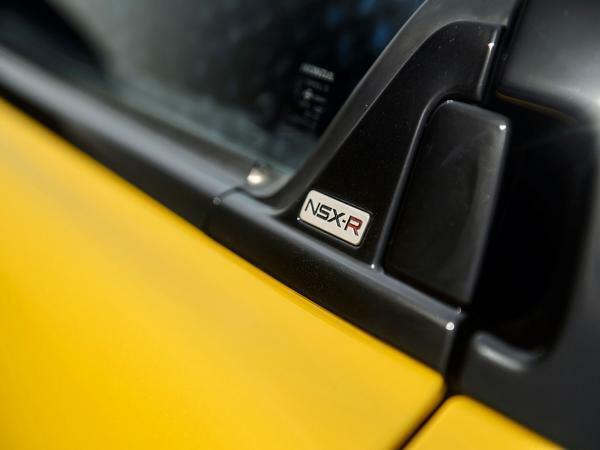 The NSX-R is a different thing altogether. It’s an amazing thing to behold these days, low and long and wide like an aircraft carrier. It doesn’t have a roof so much as a canopy. When you sit in its deep and extremely supportive kevlar bucket seats you have a widescreen view of the scene ahead of you, the likes of which no modern car can imitate. The scuttle is very low, the pillars are pencil thin and the glass house feels enormous, so you look out at an entire landscape rather than peer through a narrow letterbox. With its tiny rim, the black Momo steering wheel comes right out to greet you, but it sits low in the cockpit rather than at chest height, so your hands fall down onto it. The titanium gearlever lozenge is precisely where you want it and the dials ahead of you are so clear – black faces, yellow needles, crisp white font – you can almost read them in your peripheral vision. What you find beneath that contrasting black canopy is not a cabin or an interior, but a driving environment. It couldn’t be better. 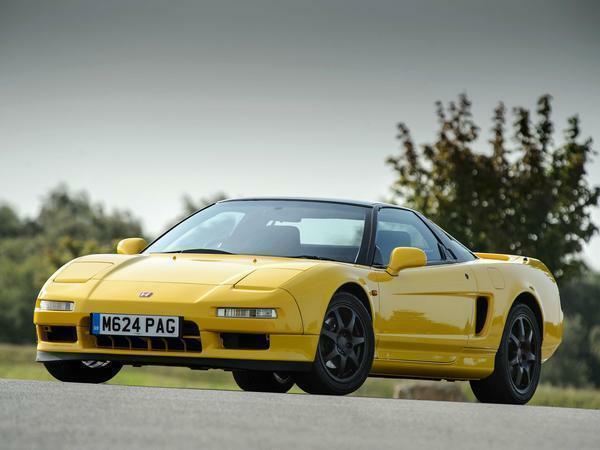 Just as the BMW M road car story began with the M1, Honda’s Type R has its origins in the NSX-R. 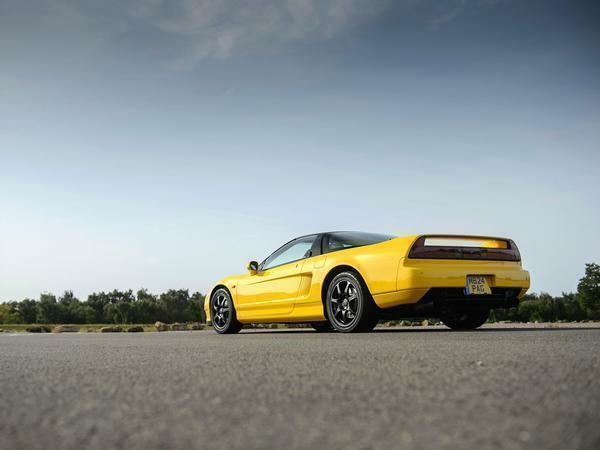 It seems so obvious now that a car company would also build a leaner, more focused version of an existing performance car, but in the early Nineties the practice was nothing like a prevalent – nor as profitable – as it is today. Honda’s go-faster engineers tore anything out of the NSX’s cockpit that didn’t contribute to making it lap more quickly. The standard car’s squishy leather chairs were junked, sound deadening was ripped out and the air conditioning binned. 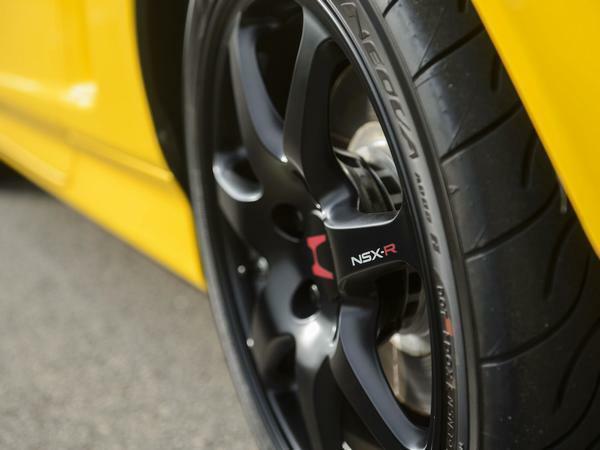 On top of that lightweight Enkei wheels were fitted, contributing to a total weight saving of 120kg. That from a car that was hardly overweight in the first place. The chassis was overhauled as well with stiffer springs and bars, retuned dampers and new bushing. 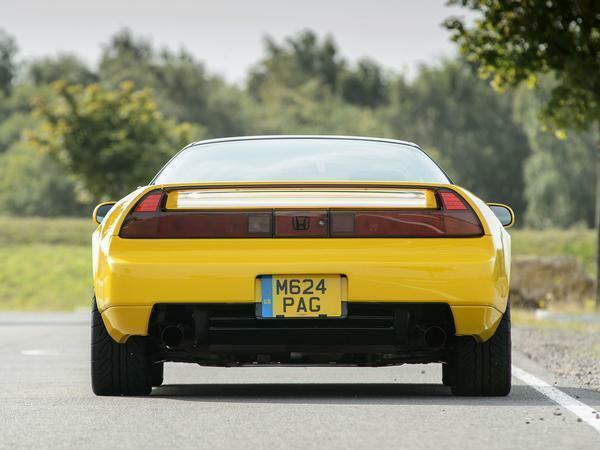 It’s not entirely clear how many of the 483 first-generation NSX-Rs found their way into the UK, but you could certainly count them on one hand. 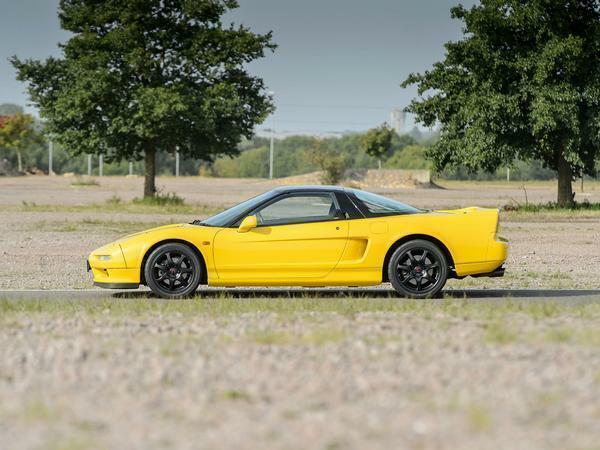 Back in its day the NSX-R was criticised by some for being very firm and unyielding. 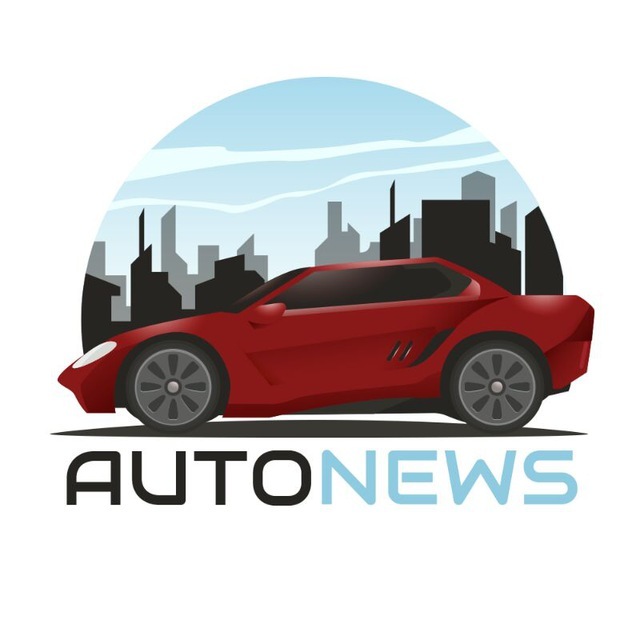 I had expected that to say more about the era than the car itself, because so many performance cars that might have felt very taut once upon a time now feel rangey and fluid, at least compared to a lot of more recent machines. 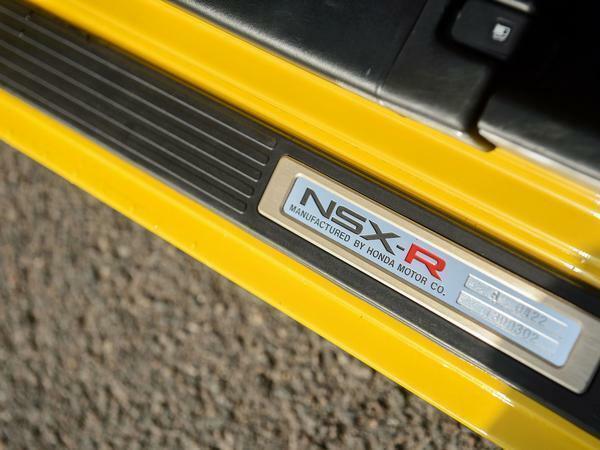 But the NSX-R does feel very firm and unyielding, even now. So it jiggles and jinks its way along a typical British B-road, tight and fidgety, but never is it so tough that you can’t get on with driving it quickly. There is just enough compliance in the springs to let you do that. What that tension means, of course, is that it has agility and body control to burn. At low and medium speeds the unassisted steering is so weighty that you guide the car with your elbows, or even your shoulders, rather than your wrists. And then, at a certain speed, the steering finds its range and it becomes much lighter, so you release your white-knuckle grip from the thin wheel rim and allow your fingers to clasp it lightly. After that, the wheel wriggles and writhes in this delicious way that tells you exactly what’s going on down at road level. You dial in just a tiny bit of steering lock even in a straight line to feel the resistance build and then fall again when you return it to centre. The gear ratios are very long and the engine is light on torque (only 217lb ft) compared to the cars we’ve become accustomed to. So the NSX-R never feels really rapid. Instead, the 3.0-litre V6 seems to row through each gear in long strokes, rather than ripping through them forcefully. 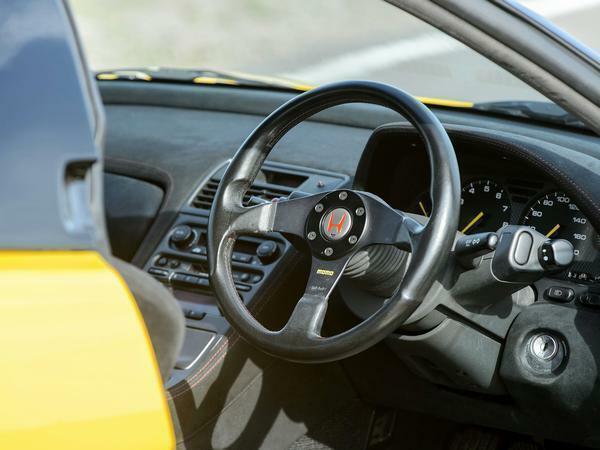 And whereas some Honda VTEC engines change onto the lumpier cam as abruptly as a light switch being flicked, the NSX-R’s bleeds from one to another at around 6,000rpm. 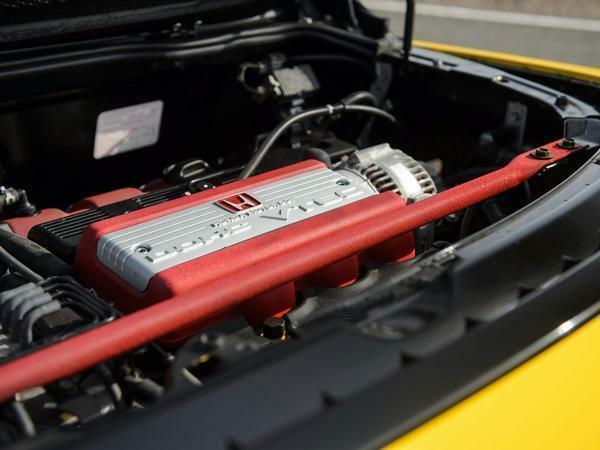 With the chassis jinking and fidgeting in its way and the engine running out to the redline in great tuneful sweeps, you just sit back and drink it all in. What’s so enjoyable about this car is that it’s a tactile pleasure to drive even at a canter, and then challenging to pedal along any quicker than that. So when the Civic Type R – or the new Porsche 911, or the Audi R8 – does thunder past you on a big wave of torque and disappear into the next sequence of bends, you let it go and enjoy the process of operating this collaborative, interactive machine. Price new: £55,000 (1992) est.